SAMSUNG launches Charm fitness band. 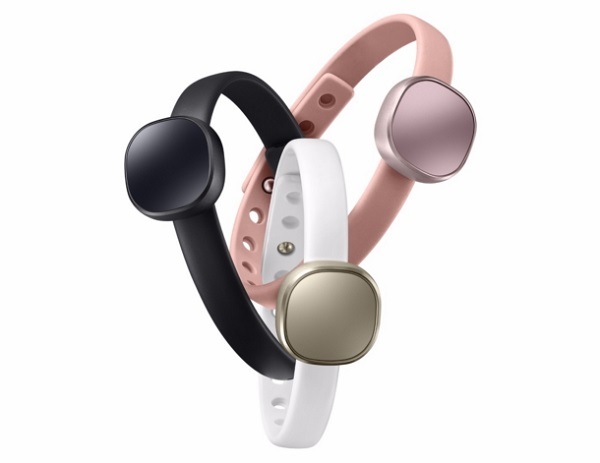 Charm by Samsung ("Charm"), a stylish lifestyle band by Samsung Electronics, was launched in Korea, Italy, France and Russia, and will soon be released in select markets. Samsung's Charm is compatible with smartphones running on Android OS 4.4 or subsequent versions including the Galaxy S7 and Galaxy S7 edge, as well as with S Health 4.6 or subsequent versions. No ordinary fitness band, Charm boasts a sleek design and looks more like a piece of jewelry than an electronic device. The band features a simple yet eye-catching square charm that keeps track of the number of steps you've taken in a day and also notifies you of incoming calls, texts and social media updates. Its distinctive design, available in Gold, Black and Rose Quartz, is the perfect match for just about any style. Wear it alone for a sophisticated look or layer it with other trendy bracelets to complete an outfit that's uniquely you. In addition to being a stylish accessory, Charm, in conjunction with the Samsung S Health app, monitors your daily activity levels. Simply sync it with a smartphone via Bluetooth and pair it with the Charm by Samsung app (which is available for download via Galaxy Apps and Google Play Store) to see how many steps you've taken, how much distance you've covered over the course of a day and how many calories you've burned. Even if you do not have your smartphone with you, Charm's built-in storage monitor lets you continuously gather fitness data so you don't lose track of a single step. Charm also uses LED notifications to alert you of incoming calls and text messages, as well as push alerts from applications that you can select via the Charm by Samsung app. Straightforward, color-coded notifications also display information about charging, connectivity status and battery level. To make your life even more convenient, Charm is equipped with a powerful, rechargeable, built-in 17mAh battery that allows you to use the device for up to 14 days on a single charge. And, when you do need a battery boost, the included Pogo-pin charging cradle makes it easy and convenient.